Deconstructivists taught us that reality can be different, when we see it differently. They taught us that in order to immerge with a better reality, we’d have to deconstruct our current one, break it down enough to find out what is working and what is not, and capitalize on both. This process goes full circle; when we deconstruct the bigger picture, understand its layers, focus on its pain points and get a clear vision on where it’s headed, we’re serving the bigger picture. On Thursday, April 18th as we’re deconstructing e-commerce, Makers, and Underground Music Industries. At a time when technological advancements allow us to do virtually anything, how come Lebanon’s E-commerce industry hasn’t yet caught up to the global market? What is the potential of grassroot platforms that support industrial makers; and could empowering them be the growth hack we need? Finally, where does the Lebanese Underground Music industry stand compared to the region and the world? What are the challenges our homegrown artists are facing and what is needed from our communities to collectively overcome them? We’re gathering Industry MVP’s in 3 panels to tackle our industry pain points and deconstruct their impact, to look at the industry in a new light. Our panellists will be sharing industry insights, tackling the challenges, and highlight the underlying opportunities. It’s our 2 year-anniversary and that’s how we’d like to celebrate with you. Join us for our anniversary party at 8:30 for some post conference cocktails, live bands, and Djs and share this celebration with us. 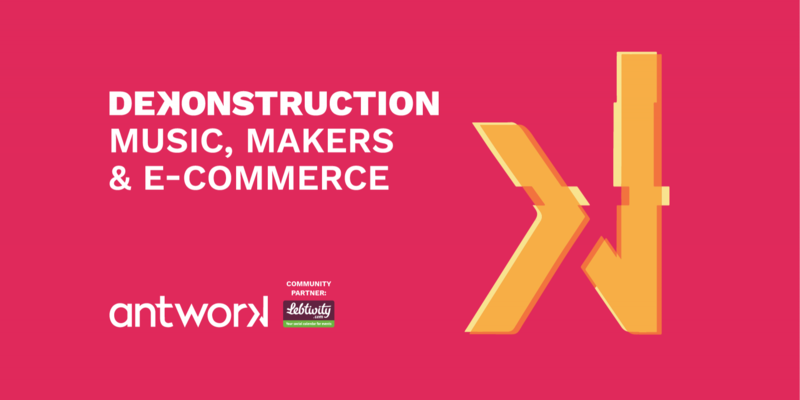 On our 2 year-anniversary, we’re gathering the greatest minds and the city on a deconstruction spree. Deconstructing E-Commerce: Can I trust you with my credit? The Lebanese E-Commerce Epidemic.